I couldn't resist the temptation to try my previous mani of Elevation Polish Stay Behind, Catch a Wave and Marmolada with matte top coat. I used one coat of L'Oreal Matte* over the mani that I showed you in my previous post. I really liked how the mani looked matte too, it really made those glitters stand out, though I'm not sure if I prefered it shiny or matte. I think it looked really good both ways. Again, I have to say that I'm so in love with Elevation Polish Stay Behind, Catch a Wave. It is just so pretty that I can't really state that enough! I just love it! *L'Oreal Matte was sent for me to review, for more information see my disclosure policy. As soon as I heard about the indie brand called Elevation Polish, I knew I had to try some of their polishes, especially the ones with the round glitters. I finally ordered two Elevation Polish lacquers recently and of course I had to use them immediately. 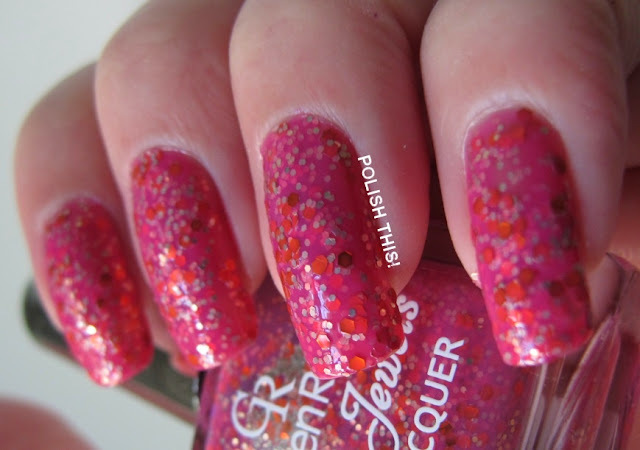 This is Elevation Polish Marmolada and I have three coats here with base and top coat. I'm not sure what happened here, but I seem to have a version of Marmolada where the grey base is really thick and opaque. 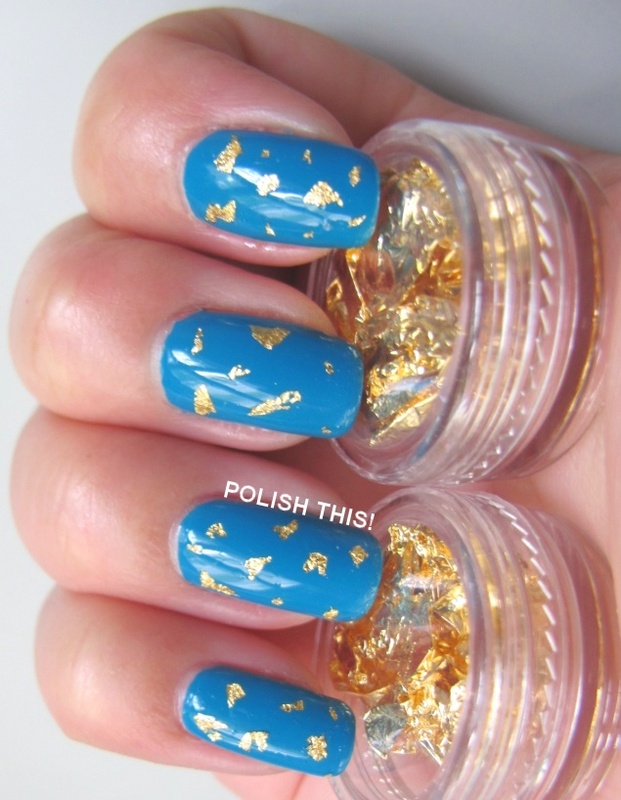 I've seen quite a few swatches of the polish where the base color looks more sheer. I think I would have prefered it to be a bit more sheer as now the next layer covers the pretty glitters in the previous coat. I still liked the polish and the formula was quite easy to work with, though you have to do some fishing to get those big round gliters from the bottle. 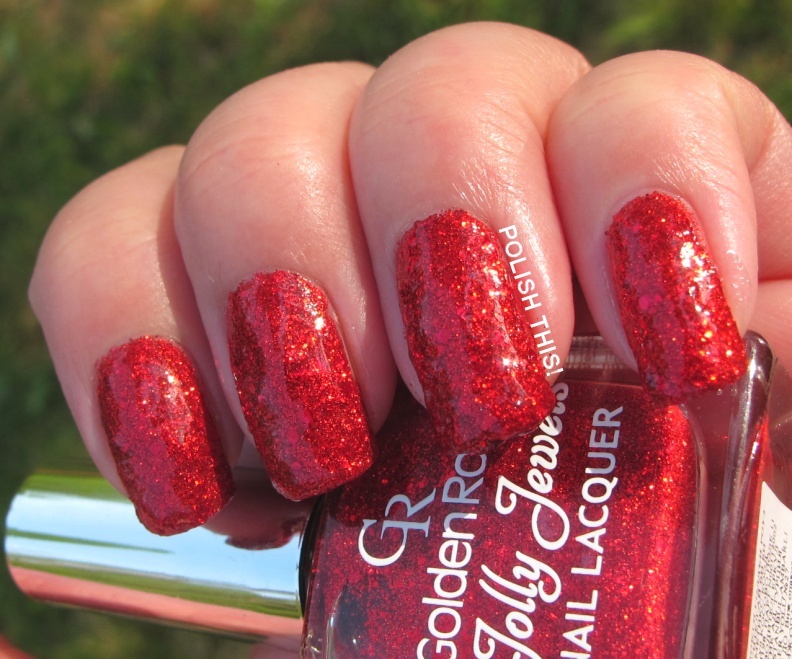 It's a pretty polish, but it wasn't exactly how I hoped it would be. But like I said, I ordered two polishes from Elevation Polish, so to get something extra over Marmolada I decided to layer some of the other polish from my order over it. Of course the other one was Stay Behind, Catch a Wave which has been in my wishlist for quite a while. 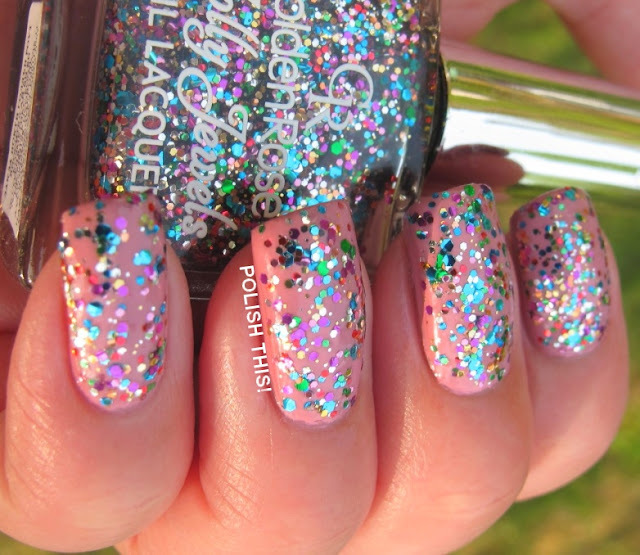 It is just a perfect glitter topper with those pretty round glitters! I used one coat here over Marmolada. Layering SBCaW over Marmolada made me really like the mani way more than how I felt about Marmolada alone. The combination of these two was soooo pretty! Well, actually, it is basically thanks to SBCaW, because it is really amazing and so gorgeous! 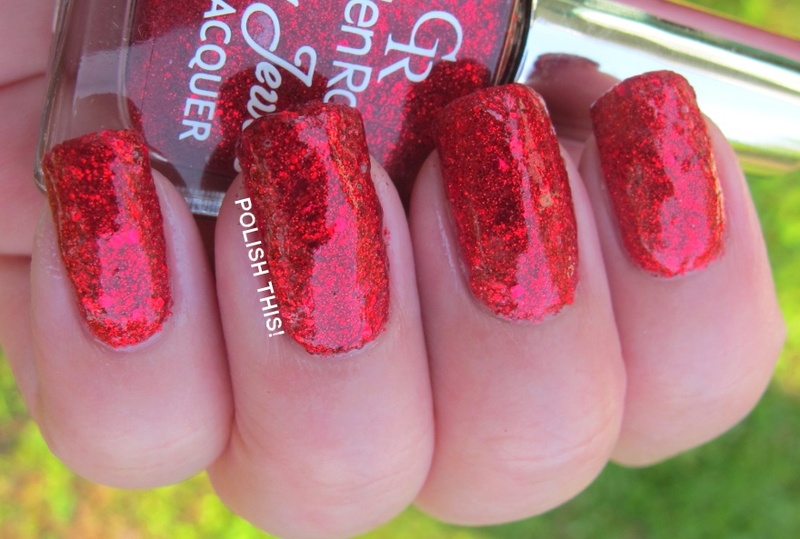 I even love the name of the polish, though it's a bit long but it's also very suitable. I'm so happy to finally have it! I got several polishes from Akuma Kanji in our swap that are from brands that I've never tried before. One of these brands is Cliché and I actually got two polishes from that brand and they looked pretty good next to each other so I decided to use them both in the same mani. 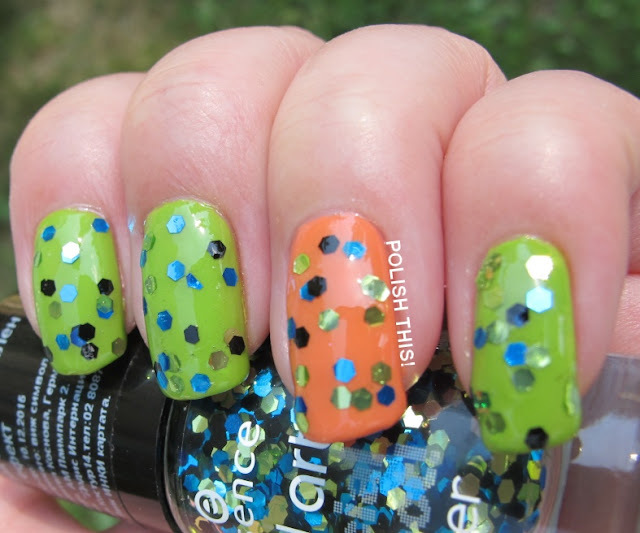 I wanted to add some glitter on top of the mani and I chose Essence Mrs and Mr Glitter for this job. It wasn't too good of a choice as I wasn't too fond of the combination. 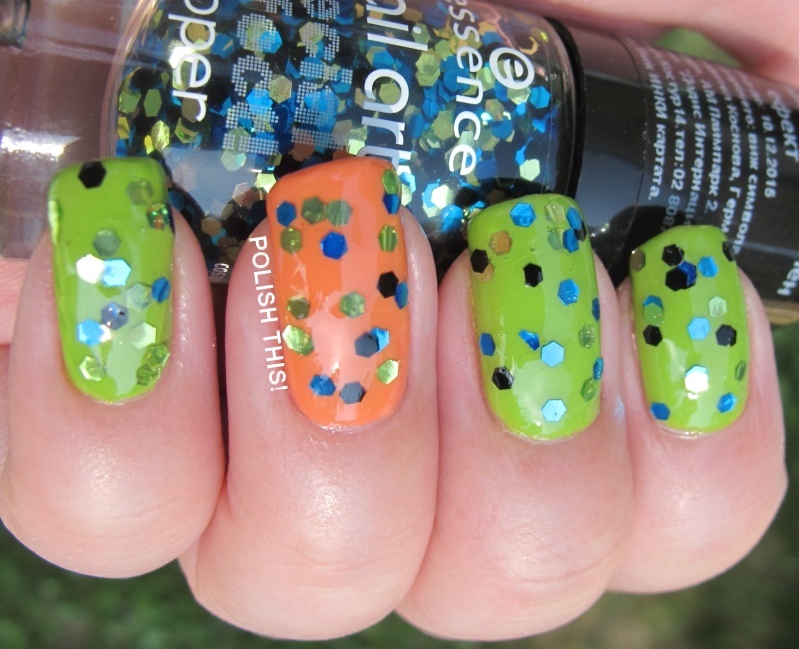 Or actually, I wasn't too fond of the Essence polish. It looks really fun in the bottle, but on nail I didn't like it. I just felt that it would have needed even just a tiny amount of some glitter in some different size or shape and then I would have probably liked it more. 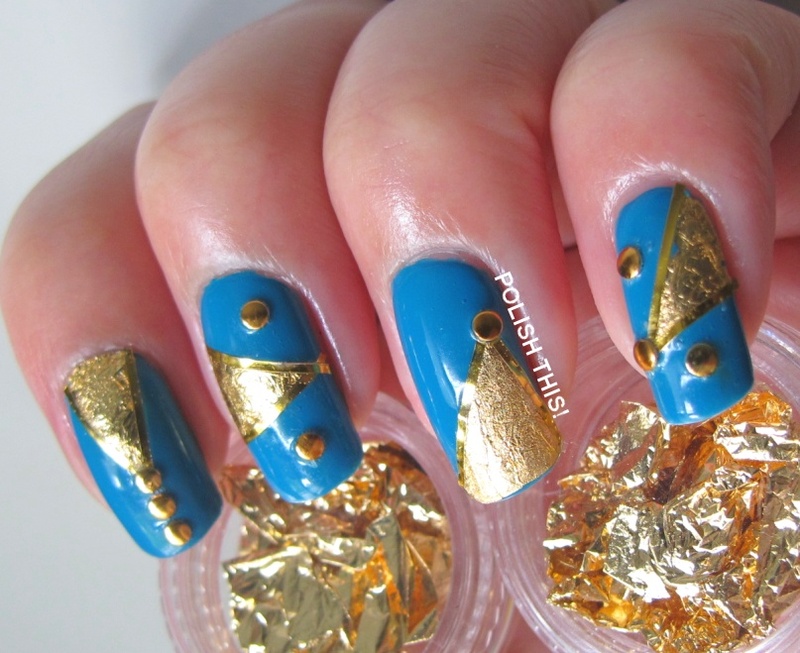 Also, it was really difficult to get the glitters from the bottle and place them evenly on nail. 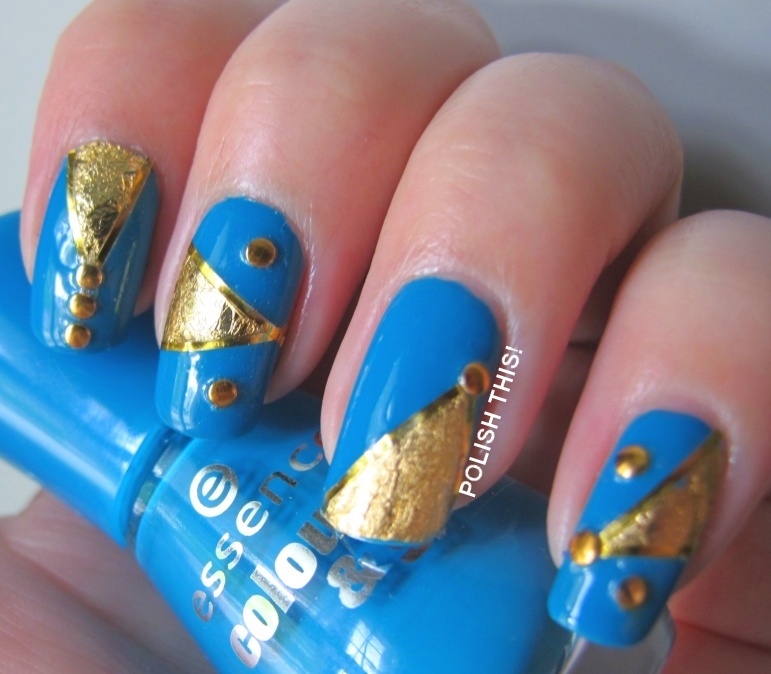 They tend to build up in one place on the nail so you really need to do some placing with them (if you can get them out from the bottle). Today I want to tell a little something about an online store that I just recently stumbled upon. I'm always looking for new online stores that sell nail polish and nail/hand care products, especially those in Europe and something like a month ago I heard about this German online store called kosmetik4less (not an affiliated link, it's just here for your convenience) that sells some brands that are really hard to get here in Finland. I contacted them and they were really kind and let me choose some products for review. 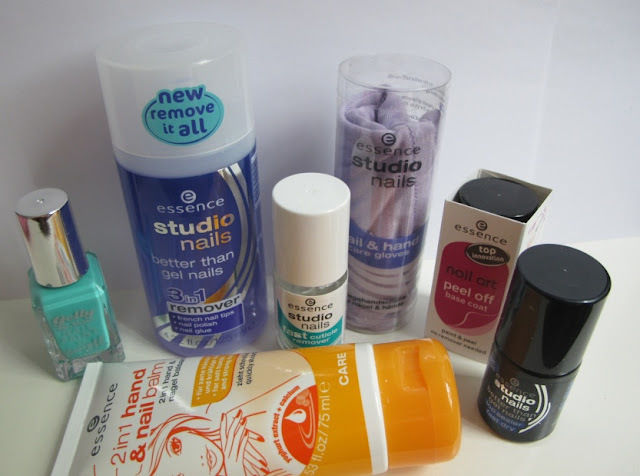 I was especially interested in trying some Essence nail and hand care products, as well as the famous Peel Off Base Coat and Better Than Gel Nails Top Coat. 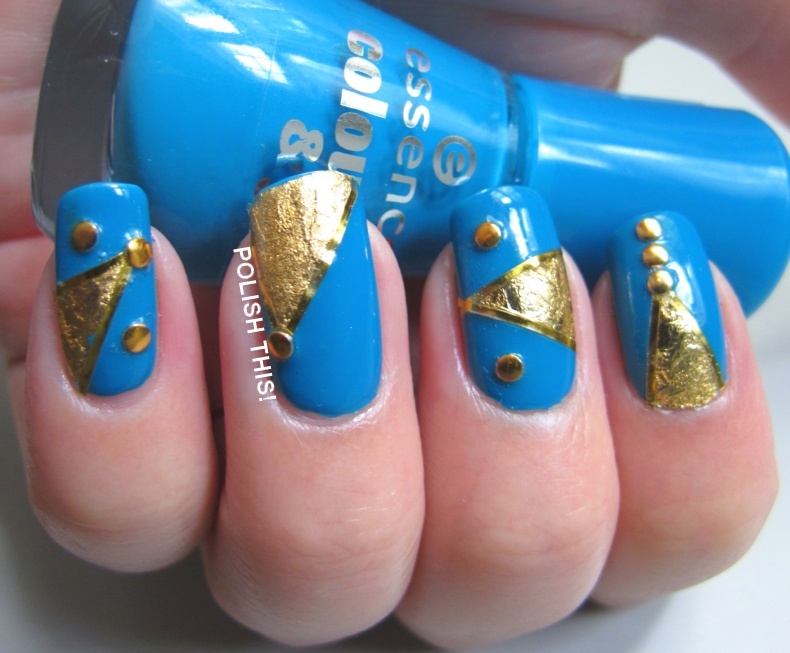 Essence's products aren't sold here in Finland so they are pretty hard to get and before this online store, I couldn't find any place to buy that base or top coat. I also of course wanted to choose a polish to try and decided to go with a Barry M polish as they are also quite hard to get here in Finland. In addition to Essence and Barry M, they have nice range of different nail polish brands like China Glaze, Orly, MeMeMe, Pop Beauty and so on. They also, of course, have other cosmetics than just nail polishes. I was just interested about nail related products, but I noticed that they have for example make-up products from brands like Sigma and Sleek Makeup. Inside it had some wrapping tissue on top first, then some bubble wrap and then the products were surrounded by packaging peanuts. 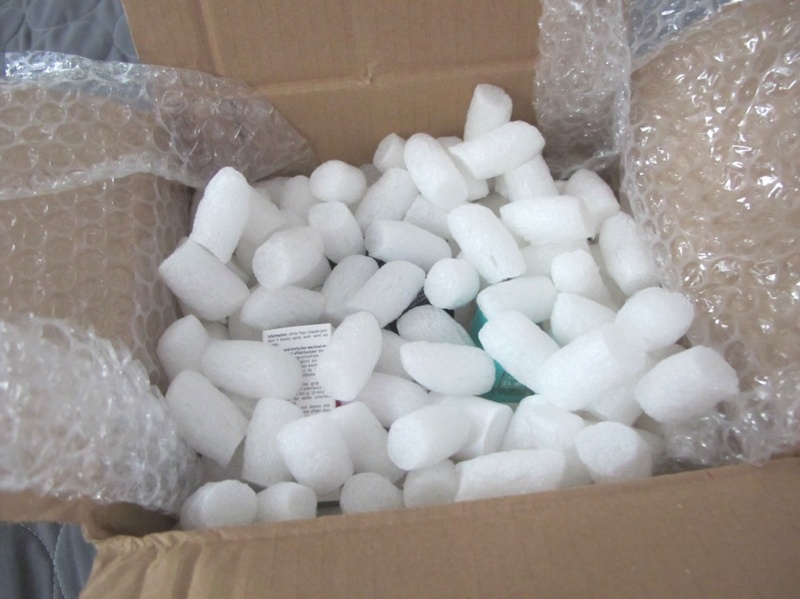 So there is quite a lot of padding in the package, but the products are unfortunately not surrounded by any bubble wrap or anything like that themselves, so they just sit among the packaging peanuts alone. This might cause problems, if you order a lot of polishes in one order as they might move around and collide to each other. But I had only couple polish bottles in my order, so I don't know if they pack the order differently if you have many polishes in your order. Also, there were quite much of those peanuts, so you'd really have to throw around the package in order to get the polish bottles to break. I have another picture of the polish, top coat, base coat and cuticle remover, so more on those later, but I also got Essence 2in1 Hand & Nail Balm, hand care gloves and Studio Nails Better Than Gel NAils 3in1 nail polish remover to try. My favourite nail polish remover hasn't been available here in local stores for a while and they seem to have some supply problems, so I'm trying to find an alternative to that. 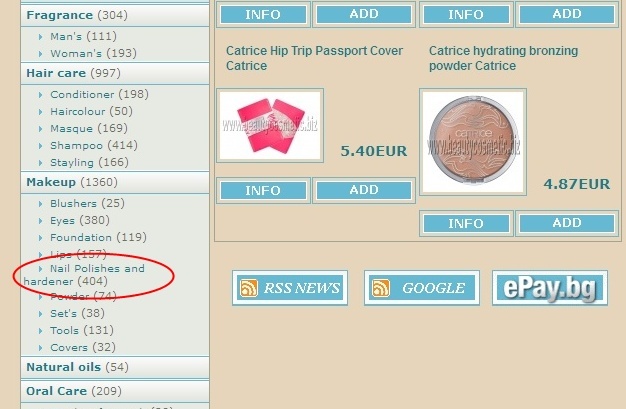 The btgn remover is only 1.95€, so it's not too expensive for a heavy user like me. I'm also always interested in trying out new hand creams, so I decided to give this Essence one a try. It is only 1.15€. I have been also meaning to buy some gloves to use with hand cream for as long as I can remember, but I always forget to buy them when I go to store, so when I saw these gloves, I decided I should finally get them. 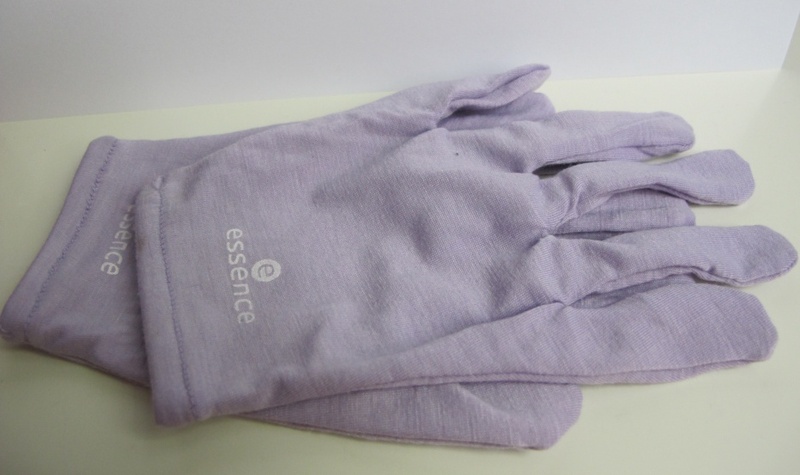 The gloves are pretty lilac shade and they are also only 1.95€, so not too expensive. However, I already had time to try these and they are a bit weirdly shaped at least for my hands. The fingers are a bit too thight in the middle and too loose around the nails, but they do fit somehow, so I can still use them. I also already tried this Essence Studio Nails Cuticle Remover (1.75€) and based on that one time, I seemed to work really well. It was also very fast, way better than the one from Depend that I have been using before this. I've only heard good things about Essence Studio Nails Better Than Gel Nails Top Sealer (what a name!) and I have really wanted to try it for so long! It's only 2.45€, which is really cheap for a top coat. If this is really as good as people say, it might really become my go to top coat. I will do a detailed review of this after I've used it for a while. I was also excited when I noticed they had Essence Peel Off Base Coat (2.25€) as I have wanted to try that also for so long! I already made my DIY peel off base coat, but I wasn't too fond of it. I will do a review of this one too later. 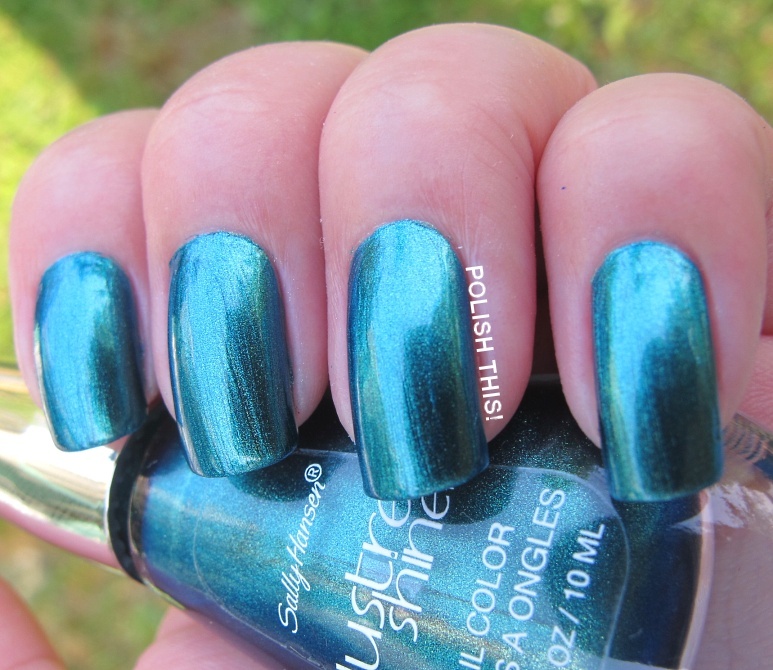 And then, like I told you, I chose one nails polish too, this one is Barry M Gelly called Greenberry. I've seen some really gorgeous swatches of this, but I've also heard that the formula isn't the best one out there, so we'll see how I manage with it. This was the most expensive item in my order, it's 5.50€. 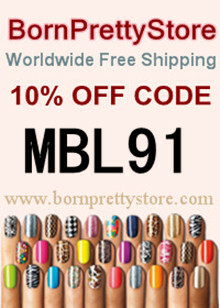 So overall I'm really excited about this online store and I will definately use it to order at least some Essence polishes, top/base coats and nail care products as the prizes are really reasonable. 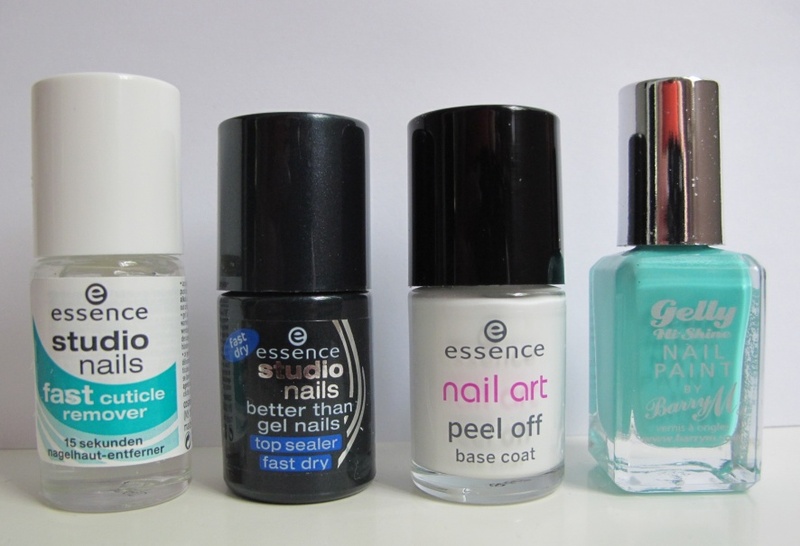 We don't have too many cheap nail polishes or other products here in Finland and I really like the Essence brand, so I'm very glad that they are a bit easier to get now. I've also heard that they will be selling those Essence limited edition collections, that have been practically impossible to get here. 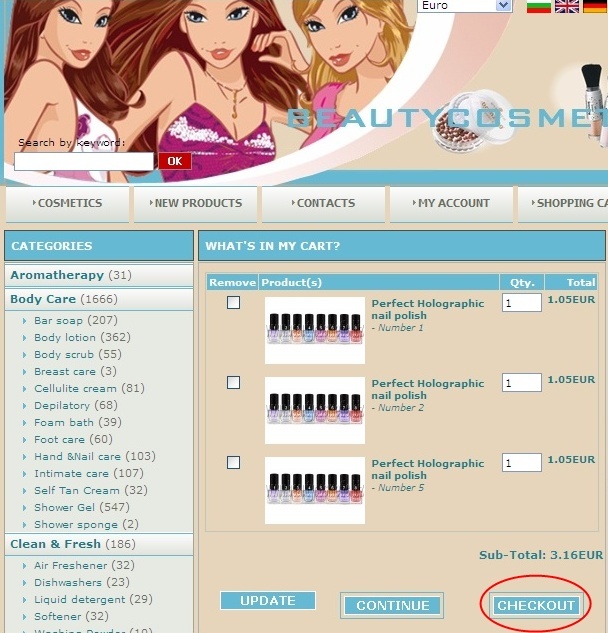 Lately I've had people emailing and asking in the blog and in Facebook about how to order from the online store Beautycosmetic. The site can be a bit confusing, so I thought I would make a little tutorial to show you the basic steps how to do an order. But first off, I'd like to state that I'm doing this only because I know people are having some difficulties with the site. 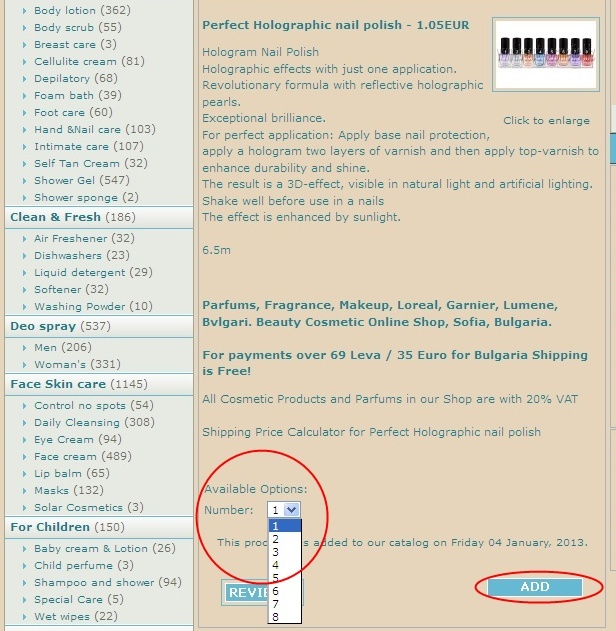 I have gotten one time few polishes to try from the site and they also sponsored our meeting, but I'm not gaining anything for doing this tutorial. I just thought it would help you guys! 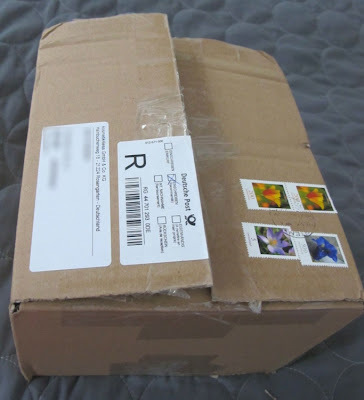 I also want to state first that I've ordered several times nail polishes and also other cosmetics from the site and I havent had any problems like not receiving my order or anything like that BUT I have heard that some people have had some problems with theirs, so you should keep this in mind. However, for me, the customer service has always worked really well and they respond quickly so if you have any concerns, I'm sure you will get your answer by emailing them. Keep in mind though that they are not native English speakers, so sometimes the answers aren't the most clearest ones out there, but I have always figured out what they are trying to say and we have sorted trough all things. 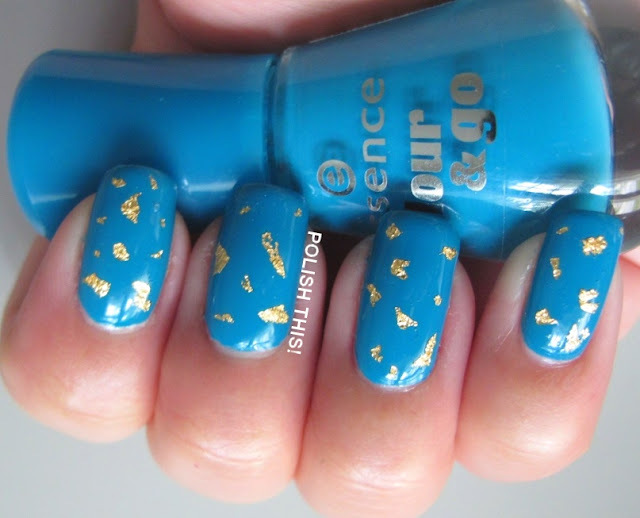 If you are not familiar with the site, they sell quite a lot of different cosmetics and they have wide range of nail polishes too, mainly some European brands that at least here in Finland are difficult to get. For example they have Essence and Catrice products, those Catherine Arley (holographic) polishes and those Perfect holo polishes that I blogged about here and much more. I chose euros here as, but there's also the option of dollars, if you prefer them. Then, if you are after nail polishes like I would be, you can click Nail Polishes and harderer from the left side menu under Makeup. Or if you are after some particular product or brand you can use the search to find them. It's located in the header like shown here. 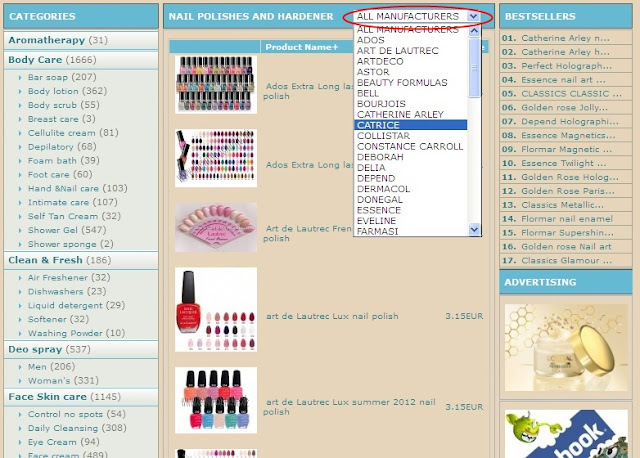 But I went to the Nail Polishes and hardener category and now the easiest way to go through these is to select the brand you'd like from the dropdown menu. I chose the brand Perfect and then the Perfect holographic polishes. You can currently also find these from the bestseller list from the right side menu as they have been so popular. 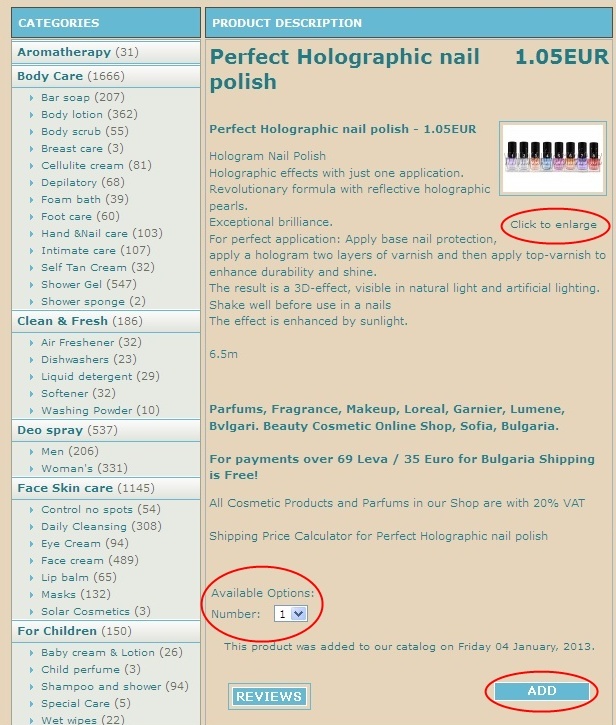 So, then you end up to the site for the chosen polishes. 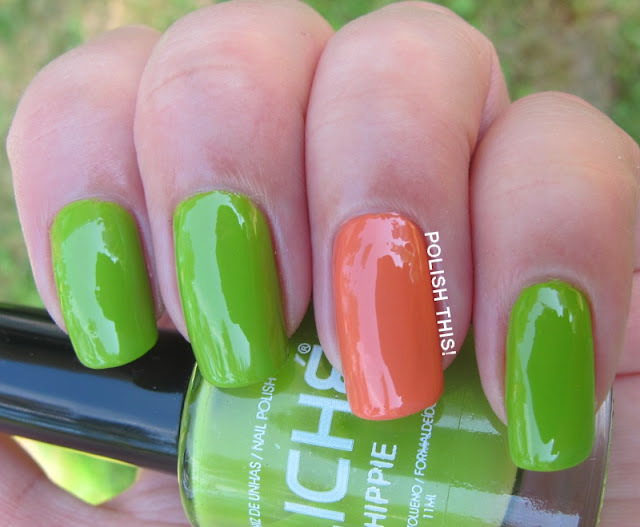 You can click the text that says Click to enlarge to see a bigger picture of the polishes and the numbers of the colors. Then you choose the one you want from the Available Options by choosing the number that was marked as the color in the bigger picture. After that you just press add. So there you can see the color and the numbers. Sometimes it is quite hard to see from these pics how the colors really look, so you probably will need to find some swatches to get a better idea of the colors. So then, as I said, you choose the number from the dropdown menu and press add to but in your shopping cart. 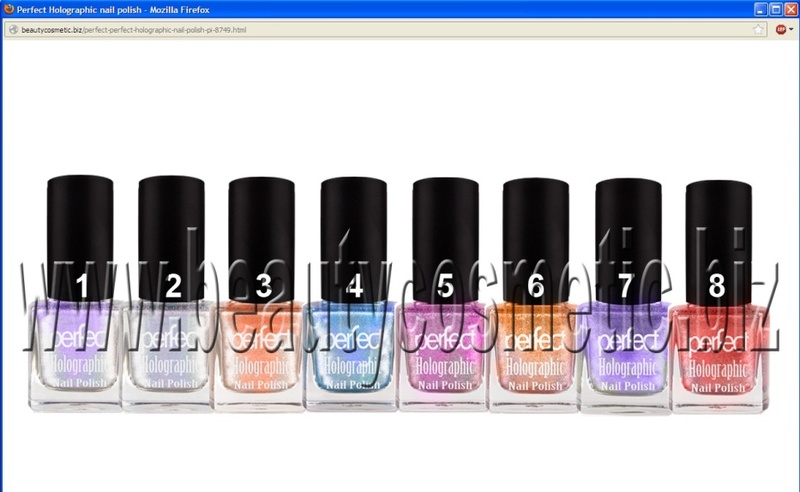 I chose randomly few of those Perfect polishes to show you how your shopping cart would look and how to go from here. 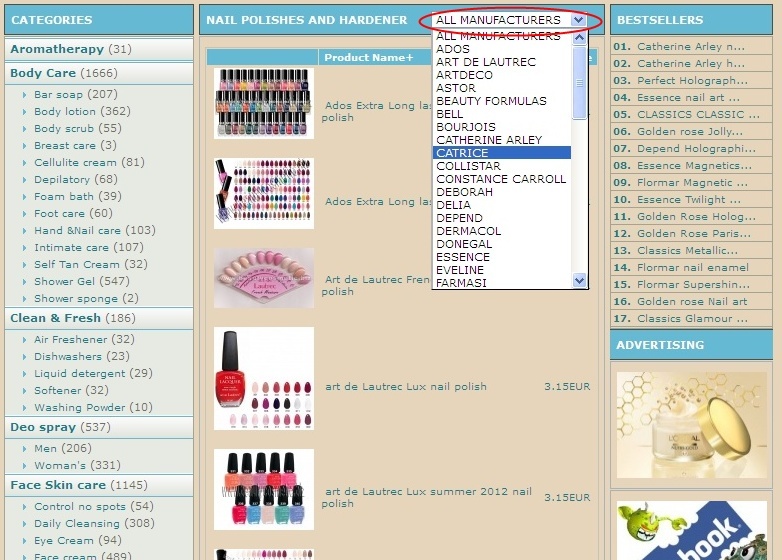 So I have three polishes in my shopping cart with the total of 3.16€ (not including shipping). Then I decide that I've already got all the things I want, so I pressed checkout to finish the order. I have already registered to the site, so I logged in to my account, but if you have not registered yet, you can do that at this point. Then when you are logged in, you can see the delivery information in the first site. 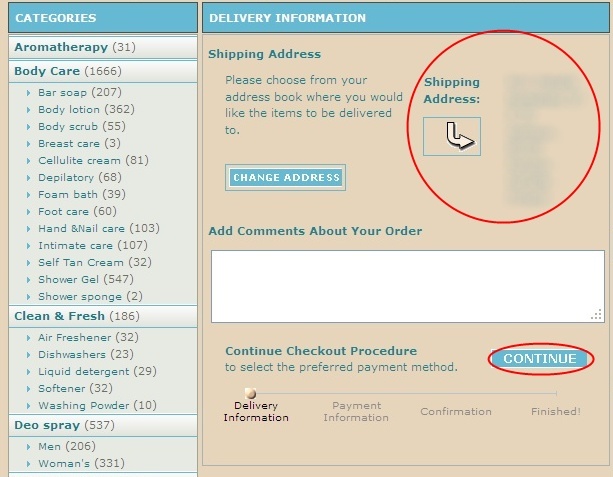 Check that the shipping address in the right side of the page is right (I blurred mine here) and then just press continue. 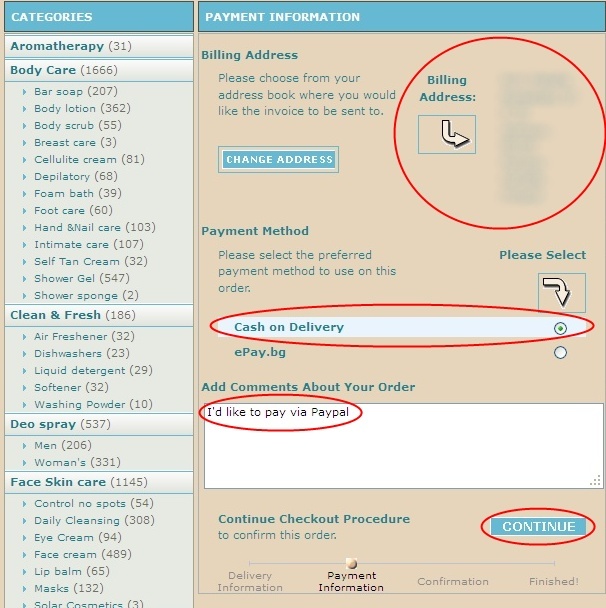 Then in the next step you can see the payment information, which is something people seem to struggle with. So again, check that the billing address is right, then choose the Cash on Delivery option and I always write to the comment section that I'd like to pay with Paypal (or something similar). This way they will sent you the Paypal invoice. And as far as I know, Paypal is pretty much the only option to pay for us who aren't Bulgarian or at least I've always just used that. Then once again, you press continue and you get your order confirmation. Of course I didn't do that here as I was just showing the process to you and not really going to order anything. After this they sent you order confirmation via email and also an email that states how much the shipping cost would be and if that's ok with you. So you don't get to see the shipping costs beforehand, but you can always cancel the order or change it, if you are not happy with the shipping costs. Also, if you want to have an idea how much they will be, you can surely ask that via email beforehand. For my orders, the shipping costs have varied between 10-15 euros (or something like that) depending on how many polishes I've ordered, but this is of course to here to Finland, so I can't really say how much they are to other places. It has usually taken a week or two for my order to arrive. Hope this helps you guys, if you have any questions, please ask and I'll try to answer!